Visual Studio Code>Themes>RainierNew to Visual Studio Code? Get it now. 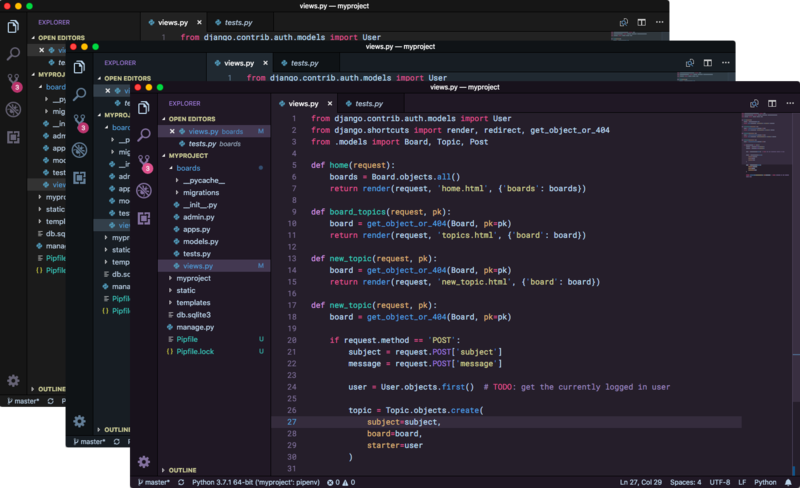 Dark and refreshing syntax themes for Visual Studio Code. Features three themes with blue, black and purple workbench UI colors. For best results it's recommended to use an icon theme such as Material Icon theme with this extension. If you would like to make your own tweaks or contribute to Rainier take a look at the Visual Studio Code theme documention. Get the source code on GitHub.